QR codes can be used in the provisioning process on Android 7.0 or higher devices. The Kiosk Browser Provisioner app allows you to easily generate a QR code but you may wish to customise this further yourself. The package checksum changes on each release and is unique to the APK file, the provisioner app handles this automatically but if when creating your own QR code you must make sure this value is correct. 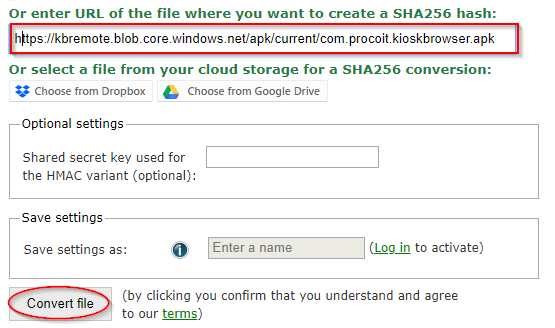 Use https://hash.online-convert.com/sha256-generator to generate the checksum. You can paste this example into http://goqr.me/ and modify the values as you see fit.